Equipped with Advanced Combustion Efficiency (ACE) technology, this new engine with maintenancefree supercharger and external intercooler is optimised for regular fuel, faster and more powerful than its predecessor, but just as fuel efficient. Operating electronically, this advanced throttle system starts you in neutral for easier dockside starts. It also features activity-specific Touring, Sport and ECO™ modes that can all be set to accommodate your riding style. The result is a more responsive, more intuitive ride. 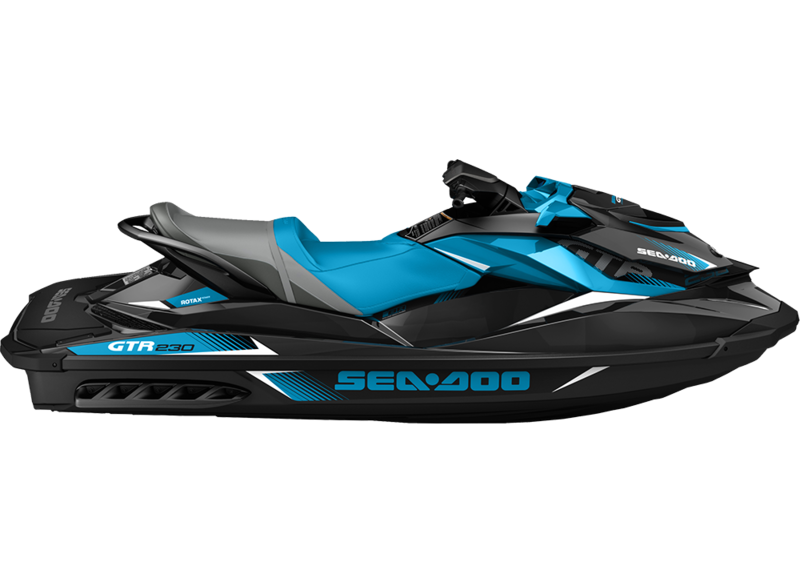 Combines a series of resonators and vibration- absorbing components to make Sea-Doo watercraft some of the quietest on the water. ROTAX 1500 HO ACE ENGINE Equipped with an Advanced Combustion Efficiency (ACE) technology, a new generation of proven, supercharged Rotax power has arrived. Optimised for regular fuel, this new engine is faster and more powerful than its predecessor, but just as fuel efficient. HIGH-PERFORMANCE VARIABLE TRIM SYSTEM (VTS) Quickly access the Variable Trim System (VTS) on the handlebar for fine-tuned handling based on rider preference, water conditions, and number of passengers. FRONT STORAGE More storage than the closest competitive model* (30.8 US gal. / 116.6 l) that lets you store plenty of gear. 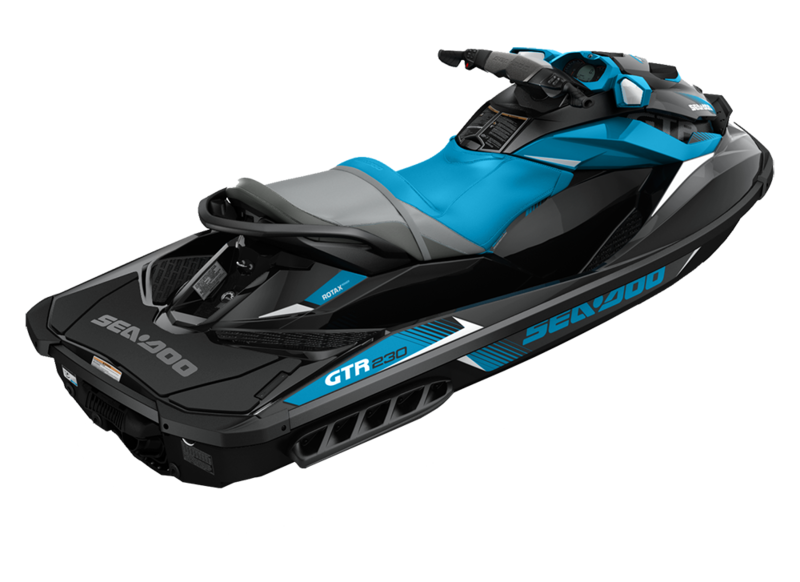 INTELLIGENT BRAKE AND REVERSE (iBR) Exclusive to Sea-Doo, the second generation iBR system lets you stop close to 160 feet sooner (48.75 m)*. And offers more control and maneuverability. INTELLIGENT THROTTLE CONTROL (iTC) Choose how you want your power delivered thanks to different riding modes such as Touring, Sport and ECO - available through your watercraft digital information center. CLOSED-LOOP COOLING SYSTEM This technology prevents corrosive saltwater and damaging debris from entering the engine, for increased reliability and peace of mind. ANTI-THEFT SECURITY SYSTEM AND iCONTROL LEARNING KEY Design features a Digitally Encoded Security System unique to your watercraft that serves as an effective theft deterrent. Learning Key also limits speed for beginners. Would you like to print or save this information? 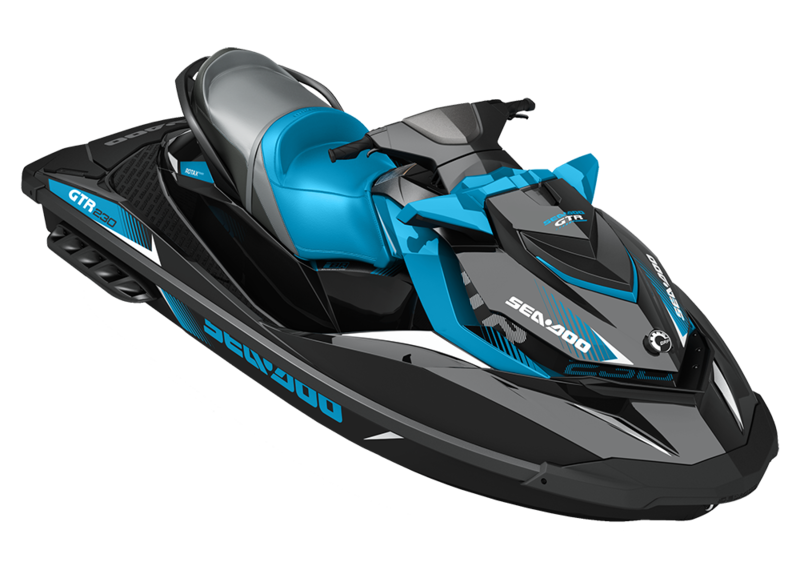 Download the spec sheet for this personal watercraft here. Be sure the keep your watercraft both safe and secure with insurance. Competitive rates, with great features and benefits. Get a quote today!